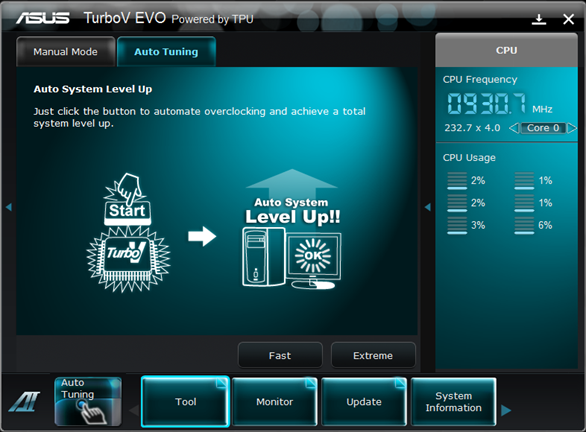 Above is the screenshot of AI Suite II (utility I used to overclock my processor). I think this utility is available on internet, but I don’t know how well it works with NON-AMD processors. All I had to do was to just select Auto Tuning option (see above screenshot) and click on Fast. And all it did was rebooted my machine and then it showed me that my machine is now overclocked from 2.8GHz to 3.2GHz. I’ve no tried “extreme” setting. 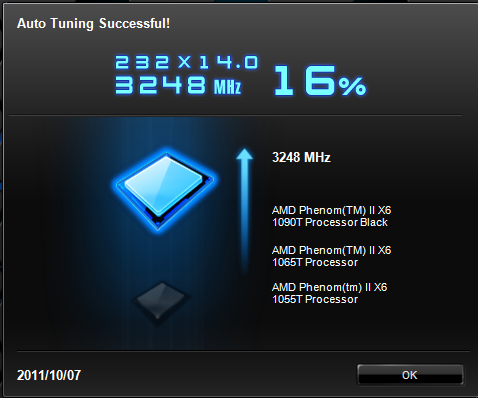 But I think that even if I will try, my processor will not be able to go beyond this 3.2GHz range. For not I am just OK with current clocking speed and I can actually feel that performance has been improved a little bit. This entry was posted by Gaurang on October 7, 2011 at 9:27 pm, and is filed under Babbling, Me. Follow any responses to this post through RSS 2.0. You can leave a response or trackback from your own site.